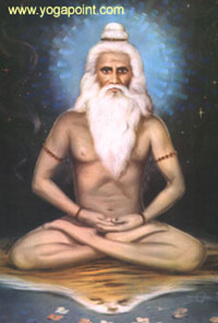 The basis of Ashtanga yoga is the Yoga sutras (Sanskrit Verses) of Patanjali. We will consider the different aspects of yoga while remaining under the guiding principles of Patanjali's Yoga (Ashtanga yoga). The Asana, Pranayama, Dharana, Dhyan & Samadhi or the Yama and Niyama are systematically described by Patanjali in his Sanskrit Sutras (verses). The term Hatha Yoga has been commonly used to describe the practice of asana (postures). The syllable 'ha' denotes the pranic (vital) force governing the physical body and 'tha' denotes the chitta (mental) force thus making Hatha Yoga a catalyst to an awakening of the two energies that govern our lives. 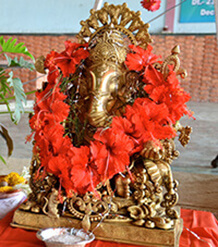 More correctly the techniques described in Hatha Yoga harmonise and purify the body systems and focus the mind in preparation for more advanced chakra and kundalini practices. Jnana Yoga is the process of converting intellectual knowledge into practical wisdom. It is a discovery of human dharma in relation to nature and the universe. Jnana Yoga is described by tradition as a means to obtain the highest meditative state and inner knowledge. Jnana literally means 'knowledge', but in the context of yoga it means the process of meditative awareness which leads to illuminative wisdom. It is not a method by which we try to find rational answers to eternal questions, rather it is a part of meditation leading to self-enquiry and self-realisation. 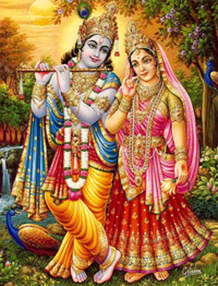 Bhakti is a Yoga of devotion or complete faith. This faith is generally in the God or supreme consciousness in any of the forms. It may be Lord Rama, Krishna, Christ, Mohammed, Buddha etc. It may be a Guru for his disciples. Important thing is the person interested in following this path should have very strong emotional bond with the object of faith. The flow of emotional energy is directed to this object. Mostly people suppress their emotions and that often reflects in the form of physical and mental disorders. This Bhakti Yoga releases those suppressed emotions and brings the purification of inner self. Continuous meditation of God or object of faith gradually decrease the ego of the practitioner, which further prevents new distractions, fickleness or even pain and induces strong bonds of love. Slowly the practitioner looses the self identity and becomes one with the object of faith, this is a state of self realization. In Kundalini Yoga, higher-level chakras are awakened and also the activities associated with these higher psychic centers.The basic method of awakening involves deep concentration on these chakras and forcing their arousal. Asanas, pranayama, mudra and bandha and other forms of Yoga such as Mantra Yoga are also used to stimulate the awakening. Karma Yoga is a path of devotion to the work. One looses his identity while working, only selfless work remains. This state is very difficult to achieve. Generally some rewards or incentives or outcome follows the work and one is attached to this reward or incentive. This is not the Karma Yoga. Non-attachment with the work and becoming the perfect instrument of the super consciousness in this manifested universe is the ultimate aim of Karma Yoga. 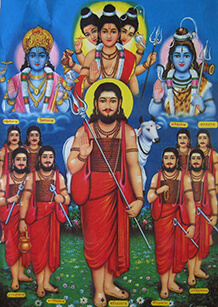 In the initial stages of Karma Yoga, individual possesses strong sense of ego and consciously or unconsciously he is attached to the fruits of his efforts or at least praise or recognition but by continuous involvement in the work and change in mental attitude, one can surely disassociate himself from the ego and his own personality. In this state the work becomes worship to the God, it becomes spiritual, also the individual becomes expert, skilled and Yogi. 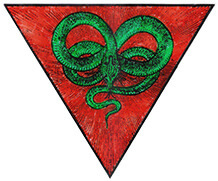 He achieves stability of mind in all conditions, he is not disturbed or excited or happy in any of the situations. He becomes divine & his actions represent God's will. 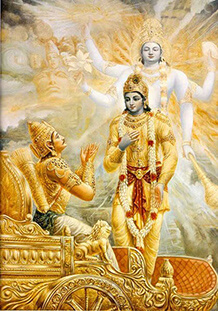 The essence of Karma Yoga as extracted from 'Bhagvad Gita' says: The world confined in its own activity except when actions are performed as worship of God. Therefore one must perform every action sacramentally and be free of your attachments to the results. The word kriya means 'activity' or 'movement' and refers to the activity or movement of consciousness. Kriya also refers to a type of practical or preliminary practice leading to total union, the final result of practice. Kriya Yoga does not curb mental fluctuations but purposely creates activity and awakening in consciousness. In this way all faculties are harmonised and flower into their fullest potential. Kriya Yoga originated in antiquity and evolved over time through practise and experience. The full form of Kriya Yoga consists of over 70 kriyas out of which only 20 or so are commonly known. The kriya practices are inscribed in numerous tantric texts written in Sanskrit. To date only a few of these have been translated into other languages. The most authoritative magna opus on the subject of Kriya. 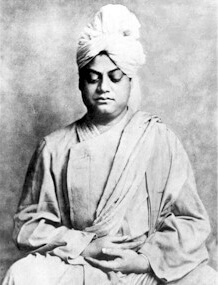 The practices of Kriya Yoga were propagated by Swami Satyananda Saraswati from secret teachings described in the Yoga and Tantra Shastras. The kriyas, as taught by Satyananda Yoga?, are one of only two systems of Kriya Yoga recognized the world over, the other being that of Paramahamsa Yogananda. Swara is Sanskrit word, meaning sound or note. It is also a continuous flow of air through one nostril. Yoga means union, so Swara yoga is a science which is realization of cosmic consciousness through control and manipulation of breath. Swara Yoga is science which is a complete study, observations, control and manipulation of breath or Swara. Pranayama is only related to control of breath in various ways. In swara yoga, you will find association of breath in relation to activities of sun, moon, various seasons, physical and mental conditions of individuals etc. So Swara Yoga is more comprehensive in theory and practices related to breath. aja Yoga usually refers to the system of yoga that is described in the Yoga Sutras of Sage Patanjali. In this ancient text Sage Patanjali describes eight stages of yoga which are known collectively as Raja Yoga. Raja Yoga is a comprehensive yoga system which deals with the refinement of human behaviour and personality through the practice of the yamas (restraint) and niyamas (disciplines); attainment of physical health and vitality through asanas (postures) and pranayamas (pranic breathing techniques); management of mental and emotional conflicts and development of awareness and concentration through pratyahara (sensory withdrawal) and dharana (concentration); and developing the creative aspect of consciousness for transcendental awareness through dhyana (meditation) and samadhi (absorption in the universal identity).